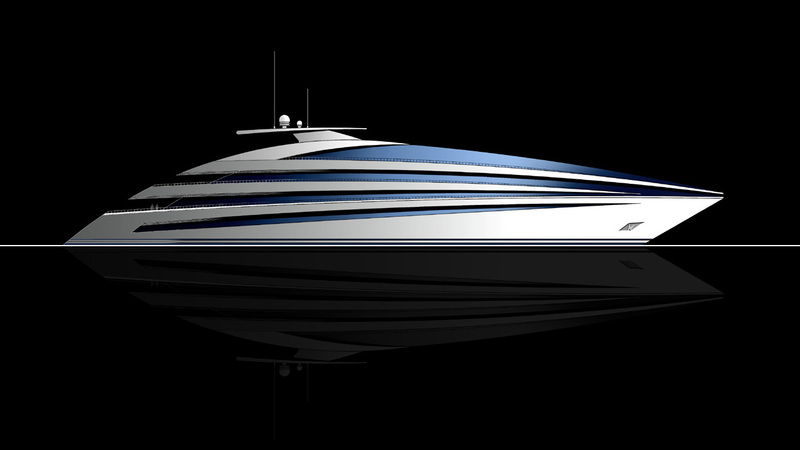 This new dynamic aluminium superyacht is 100 metres long and has a maximum speed of 20 knots. The general design adapts the style of the Open boats to large-sized yachts using long diagonal glass windows on each decks. The decks with diagonal profiles actually conceal an ordinary straightforward internal structure with interconnecting stairways. The interior design is elegant but minimalist and uses natural materials to create six guest cabins, one Vip and one owner suite.